It's the California chaos episode! This week on the podcast, Hayley and Alex talk to superstar cannabis attorney Hilary Bricken about what's not working in the Golden State. Professionals don't want to miss this one. You should also read Bricken's posts at the excellent Canna Law Blog. 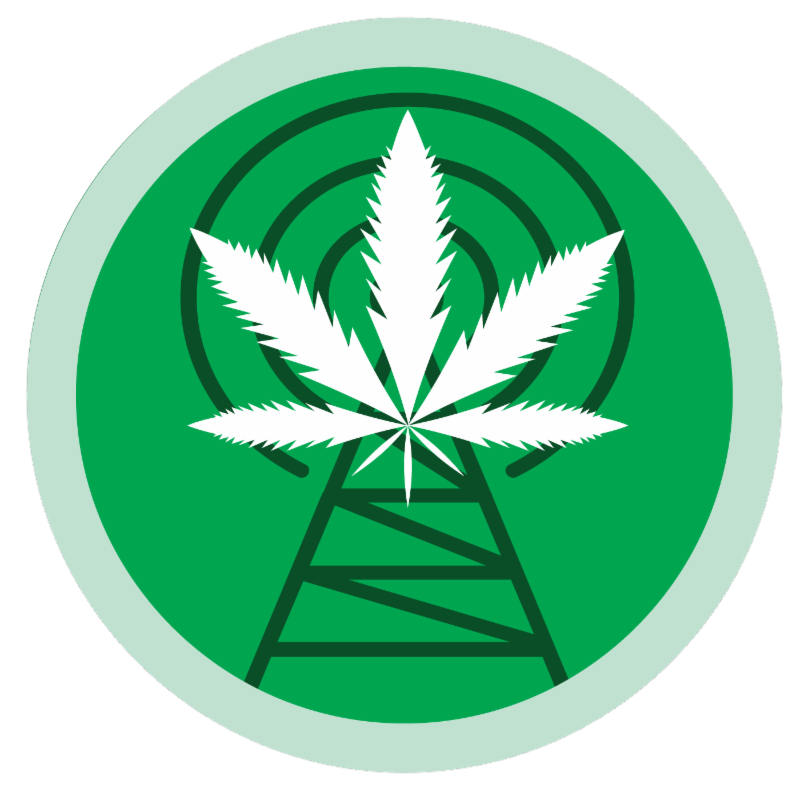 Plus, a check in with longtime Humboldt grower Kevin Jodrey about legalization in the Emerald Triangle. Subscriptions are US$72/six months ($12/month) and US$120/twelve months ($10/month). Get yours before the price goes up. See a recent edition here. Recommended: This remarkable Washington Post report on how data firm Cambridge Analytica sent non-US citizens to work on Republican campaigns. Senate Majority Leader Mitch McConnell (R-Ky.) wants hemp removed from the controlled substances list. McConnell called industrial hemp “really a different plant” than marijuana, even though the US government defines hemp as marijuana with lower than .3% THC content. McConnell said he plans to explain the difference to his former Senate colleague US Attorney General Jeff Sessions. The state treasurers of California, Oregon, Illinois and Pennsylvania have requested a meeting with AG Sessions to resolve the conflicts between state and federal law. It’s not clear if Sessions has responded. Massachusetts faces a controversy around licensing so-called “dormant” dispensaries which received MED licenses but never opened. Bucking the Massachusetts trend, the town of Easthampton will allow REC businesses . Michigan ordered 210 MED shops closed , mainly because they didn’t apply for licenses. After a judge ruled Arkansas’ MED license process unconstitutional, a company which said its license was legitimate asked for permission to open . The impoverished town of Cotton Plant, Ark. has high hopes for the cannabis industry. A Rhode Island dispensary offered the state $5M “to plug the budget hole,” if it didn’t proceed with a plan to expand the number of MED licenses. Oakland is overwhelmed by cannabis license applications. Berkeley, Calif., cut REC taxes to better compete with the illegal market. Conservative Colorado Springs, Colo., is unlikely to hold a referendum on REC this year. Canada is now officially on track to legalize by the end of summer. 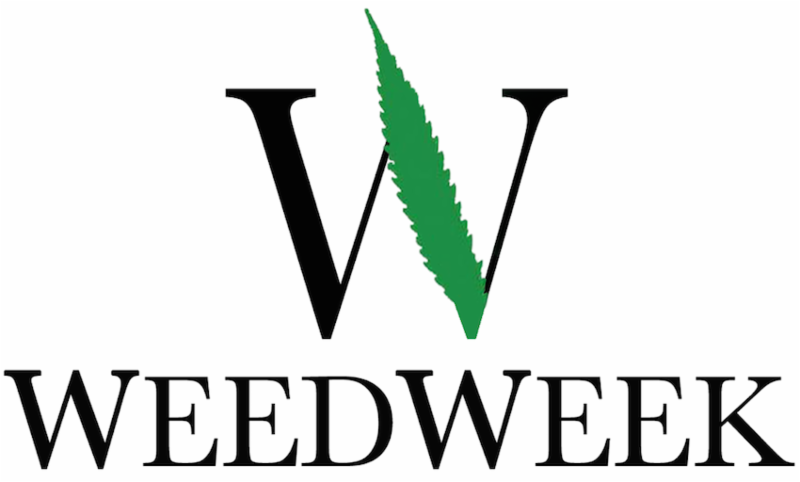 🍁For more subscribe to WeedWeek Canada . Jamaica’s Ministry of Health warned the public to only use approved MED which has a maximum THC content of 5%. The N.Y. Times looks at the “Dutch pot paradox” where it’s legal to buy but not to grow. Colorado-based Ebbu has partnered with the creator of Blue Moon beer to create non-alcoholic, cannabis-infused beers (Cannabist) which it says will be available in Colorado by the end of the year. The partnership will brew beer in several traditional styles and then add THC. Michael “Dooma” Wendschuh who co-founded Ebbu with Cooper before he was fired in early 2016, has started another cannabis beer company (VICE), Province Brands, which is based in Ontario and plans to sell beer brewed from the cannabis plant. The THC will apparently derive from the plant material used for brewing, not an additive. In 2016, I wrote a long story (Pando) about Dooma’s time at Ebbu. The Growler offers the cannabis industry tips from the craft beer industry . Ancillary wine businesses are looking for opportunities in marijuana . Massachusetts said no to CBD infused beer . A new IRS rule could strip marijuana related trade associations of their tax-exempt status. Arizona-based pharmaceutical company Insys Therapeutics, which contributed $500,000 to defeat Arizona’s 2016 REC legalization initiative, has won preliminary approval for a synthetic cannabis drug to treat side effects associated with cancer and AIDS. Insys also faces multiple investigations for aggressively marketing the opioid fentanyl. The FBI arrested its former CEO and five other executives in December. The company is also developing a product to treat opioid overdoses. Canadian producer Aphria agreed to buy Nuuvera for US$670M , largely for Nuuvera’s relationships in Germany, Italy and Australia. 🍁For more subscribe to WeedWeek Canada . 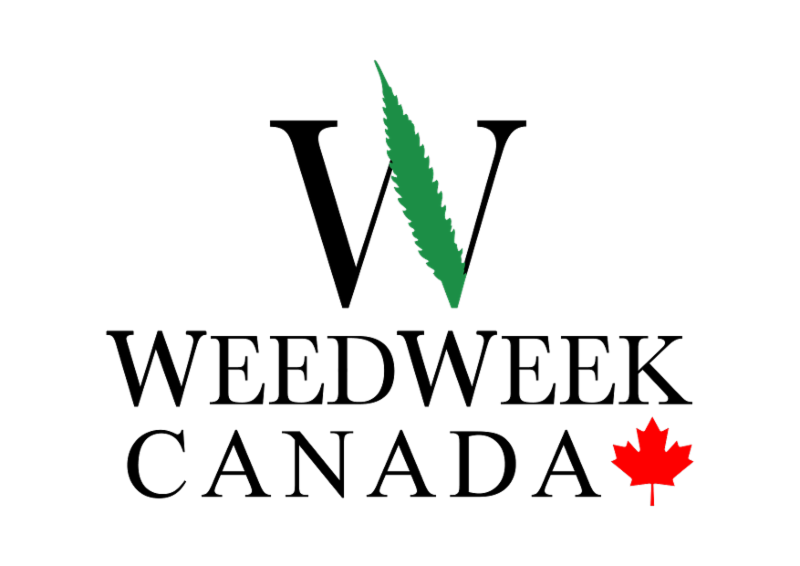 Canadian firm CannaRoyalty acquired two California distributors, RVR and Alta Supply, and manufacturer Kaya Management. 🍁For more subscribe to WeedWeek Canada . Canadian firm Golden Leaf Holdings, which owns the Oregon dispensary chain Chalice, made a deal to franchise the brand nationally with venture capital firm BlackShire Capital. Golden Leaf CEO William Simpson predicted the company would be the “Starbucks of cannabis.” 🍁For more subscribe to WeedWeek Canada . Amidst shortages, Germany halted the bidding for MED growing licenses, a blow to Canadian firms . 🍁For more subscribe to WeedWeek Canada . A video from The Economist summarizes the US industry . The N.Y. Times looks at tensions between artists and marijuana companies over real estate in Oakland. City Lab finds a similar dynamic in Denver . Licensing delays are playing havoc with the California supply chain and allowing the black market to flourish, Leafly reports. The Wall Street Journal has more. S.F. Chronicle’s Green State says California rules have crushed small and medium-sized edibles companies . A woman who claims to be the biggest marijuana business landlord in California is suing San Bernardino County . Rolling Stone looks at the perils of running an all-cash pot business in California. Washington’s small growers are struggling . Maryland’s Severn Bank revealed substantial involvement in the cannabis space . Boston’s first MED dispensary, which promised to never apply for a REC license , is applying for a REC license. Patriot Care also opposed REC legalization. The Boston Globe went to the NECANN conference to catch up on regional industry issues . The Denver Post profiles cannabis co-working space Cultivated Synergy . A Colorado bill would allow budtenders to receive free samples . They currently can’t because state law requires all tracked product be sold. After selling the ghost town of Nipton, Calif. to an oil and gas firm, American Green says it still has permission to build a cannabis resort there. Canadian cannabis stocks have infatuated Swedish investors . Wired talks to start-ups Front Range Biosciences and Frinj Coffee to see how tissue culture developed for cannabis could have value growing other crops . Front Range uses tissue culture to grow clones free of fungi and other plagues. A study published in Neuropsychopharmacology found CBD might reduce cravings for alcohol and cocaine. A Canadian doctor warned severe cannabis allergies could become a problem. A Canadian study suggests cannabis use could prevent youth from moving on to more dangerous drugs. Like everywhere else, Canada is struggling to nail down a cannabis impaired driving law. 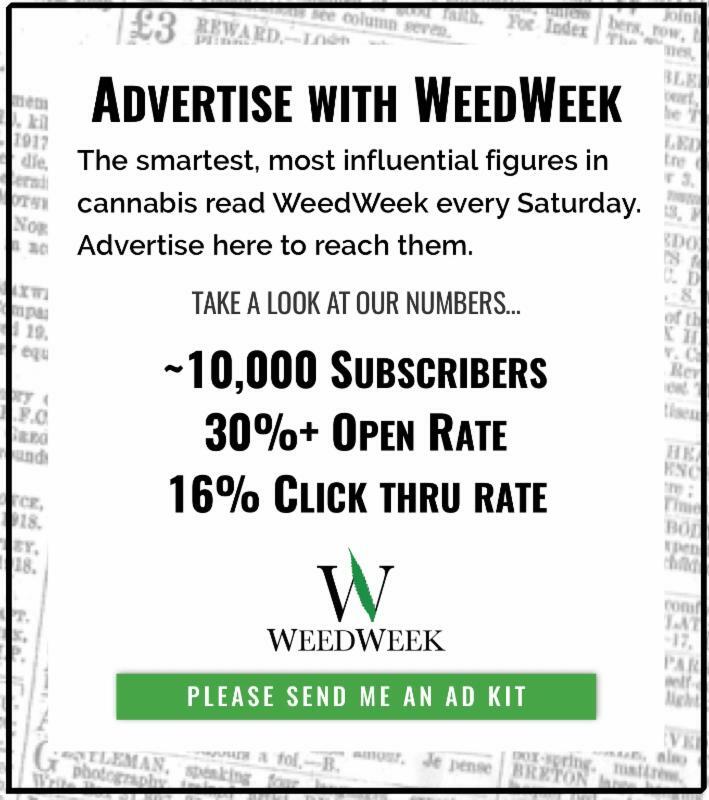 🍁For more subscribe to WeedWeek Canada . Doctors Nova Scotia issued six strict recommendations for regulating the industry including charging more for higher THC products. 🍁For more subscribe to WeedWeek Canada . Canadian generic drug billionaire Barry Sherman was pushing to develop a slow release “pot pill” at the time of his death last year. His and his wife's deaths last year have been investigated for months as a double homicide. Trump nominated his personal doctor to lead the VA. Herb asks what it might mean for veterans’ MED access. Leafly asks if MED is allowed in nursing homes. A study which found no link between legalization and homelessness in Pueblo, Co. continues to cause controversy. A fifth grader in Pennsylvania won a science fair for investigating the effect of cannabis on cancer cells. In a controversial ruling, a California ordered all coffee sellers in state to warn customers that coffee causes cancer . Scientists disagree on the link and believe coffee can reduce the risk of some cancers. For research purposes, the psychedelic agent psilocybin costs $7,000 per gram . A group has launched an anti-weed campaign in London’s trendy Camden Town. Rolling Stone looks at President Trump’s new war on drugs , which includes a bill to execute large scale drug dealers. The Washington Post breaks down how much of each illegal drug you’d have to sell to receive the death penalty. An op-ed in the conservative Washington Examiner says the death penalty for drug dealers won’t solve the opioids crisis , but access to MED might. My friend Molly Ball wrote Time Magazine’s cover story on Jeff Sessions , and his role as the Trump administration’s enforcer. The Cannifornian explains why it’s still hard to expunge cannabis crimes from a record. In Virginia, a man with dementia was arrested after threatening Congressman Scott Taylor (R.-Va.) over marijuana policy. Taylor favors decriminalization. The Court of Appeals for the Ninth circuit heard the case of a longtime Washington MED patient who claims his rights were violated in a 2011 raid. A South Carolina man who was sprayed with bullets and paralyzed, in a raid which netted police eight ounces of weed, won a $2.75M settlement . Police defended their actions and did not admit wrongdoing. A Tennessee attorney general (for several counties) blamed stronger marijuana for a spike in violence. Miguel Perez, a Mexico-born veteran of two tours in Afghanistan, who later received a felony drug conviction, was deported by US Immigration and Customs Enforcement , over the objections of Senator Tammy Duckworth (D-Ill.). In vacating misdemeanor cannabis charges, Seattle hopes to benefit immigrants . Cannabis arrests in New Orleans have plunged since decriminalization. Johanna Silver, former garden editor of Sunset Magazine, tried her green thumb at growing you know what. The L.A. Times talks to Anja Charbonneau editor of stylish lifestyle magazine Broccoli . 📱Want more? We spoke to Anja on the WeedWeek Podcast . A YouTube series look at “Canna Cribs,” i.e. sophisticated grow spaces. Yes, there are cannabis seders.